I reviewed my summer bucket list and realized that I have still have much to accomplish… mostly because I have 3 books on there – not including my extensive summer reading list (I apparently love to take on too much). 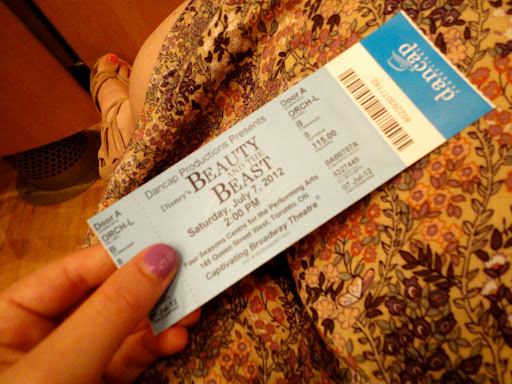 Earlier this summer I went to see Beauty and the Beast. I remember seeing it almost 16 years ago at the Princess of Wales theatre. I was 8 years old and went to see it with the rest of the girls in my class. I was so excited because it was my favourite movie (and my dad read me the book almost every night). When the lights dimmed, and the curtain raised I heard fireworks and closed my eyes because I was so scared – however it was that moment that had me captivated. Needless to say, I was so excited when I heard B&tB was coming back to Toronto. I chose an afternoon show, and an amazing seat. Was it worth it? Well, I liked it, but I didn’t love it. It was only until after the play that I learned that this new run was a lower scale production than the one I had previously seen – which made me somewhat upset as I paid quite a high price for my ticket. Regardless, it was nice to get out and see a show – even if it was a different production and I was by myself. 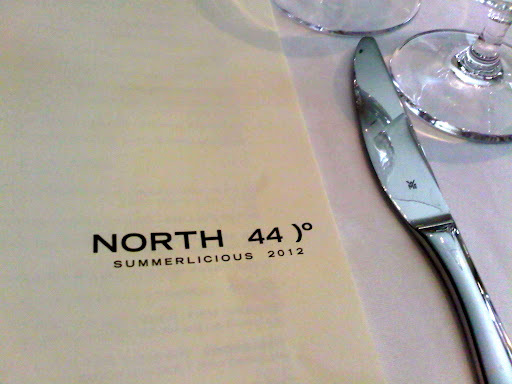 Although I went to 3 great places for summerlicious – it led to my self-imposed restaurant ban (aka. take a break and save my money). My favourite was Lee (I definitely want to go back, and check out his/his sons new restaurant ‘Bent’). I already have my list picked out for the Winter (the front-runner being Colborne Lane)… but I think it’s my boyfriend’s turn to choose! I went to Centre Island – my first time in almost 15 years! Although I have amazing pictures of Toronto’s skyline (can you tell that I love my city? ), I went with my camp – so this trip was definitely more about business rather than pleasure. I’ll still count it though! What fun things have you done this summer?